Is this the most important question in your life? "You have been given the greatest gift on earth: a life! So, what are you going to to with it? Understand that you are the master of your life. Masterful Living® means knowing what you want, understanding how you function, creating a life plan and managing your emotions and your behaviours. 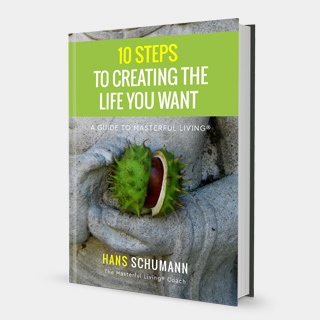 Download your free guide "10 Steps to Creating the Life You Want" right away.